What’s Next For Brangelina’s Custody Agreement? 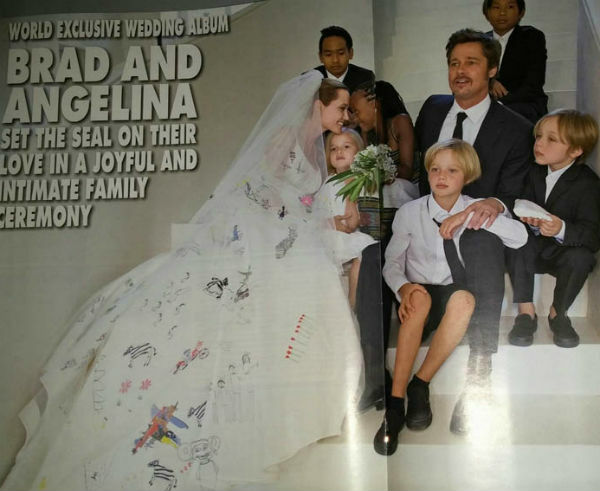 –Brangelina‘s temporary custody agreement ends tomorrow, and sources tell People negotiations remain “strained.” Meanwhile, Angelina and the kids were reportedly interviewed by the FBI on Tuesday. –Emma Stone kicked her Oscar campaign into high gear by bringing Jennifer Lawrence as her date to a La La Land screening. Frankly, I think she and Ryan Gosling will have it in the bag if they just recreate this scene on every red carpet for the next couple of months. -Proving that everyone really does know everyone else in Hollywood, Tobey Maguire was photographed partying with Justin Bieber’s ex Sofia Richie just before his split announcement. -Meanwhile, Justin Bieber would like fans to express their excitement at his concerts with polite head nods. If you’re *really* feeling it, you can tap your toes. But only if you must. –Rihanna‘s employee’s created a pinata of her head for Boss Appreciation Day because they clearly don’t value their personal safety. -Is anyone else noticing that all the superhero shows are bottoming out in the ratings this season? Are we superhero’d out? -I have questions about Rory in the new Gilmore Girls posters. Mainly, why didn’t they give her a sweater? And why doesn’t she hold objects like a normal human being? –Ellen Degeneres has laughed off those rumours that she and Portia are getting a divorce in her new People cover story. –Sarah Jessica Parker says rumours of a feud with Kim Cattrall “confound” and “upset” her. –Scarlett Johansson is opening a gourmet popcorn shop in Paris. Um, ok.
–Colin Firth joining Emily Blunt in the Mary Poppins reboot sounds kinda perfect. –Lindsay Lohan wants to help Syrian refugees…by giving them energy drinks. Aw sweetie, Red Bull won’t *actually* give them wings. –Michael Moore dropped a surprise movie about Trump last night. –Laura Benanti returned to the Late Show last night with her pitch-perfect Melania impression. -Meanwhile, Amy Schumer wrote an open letter to Tampa after a bunch of Trump supporters walked out of her show. -Meanwhile, Birth of a Nation could lose $10M for Fox. -The first teaser for Guardians of the Galaxy Vol. 2 is here and it’s pretty damn great. Baby Groot!